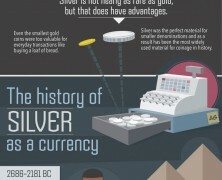 Home »Posts Tagged "Silver Coins"
Coin collection hobby has a strong base of 10 million fans in USA. With more than 400 coin events already arranged for 2013, coin collection market becomes an interesting field for examination that this infographic adds up to. Do you know where the term “piggy bank” comes from? Its roots are found in old English word “pygg” that defined a type of clay used for dishes and money-jar production. 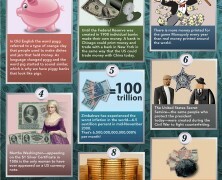 Discover more interesting facts from metal and paper money history.